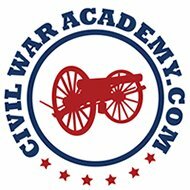 All Civil War battles in Texas. They are in the order in which they occurred. Description: On September 23, 1862, the Union Steamer Kensington, Schooner Rachel Seaman, and Mortar Schooner Henry James appeared off the bar at Sabine Pass. The next morning, the two schooners crossed the bar, took position, and began firing on the Confederate shore battery. The shots from both land and shore fell far short of the targets. The ships then moved nearer until their projectiles began to fall amongst the Confederate guns. The Confederate cannons, however, still could not hit the ships. After dark, the Confederates evacuated, taking as much property as possible with them and spiking the four guns left behind. On the morning of the 25th, the schooners moved up to the battery and destroyed it while Acting Master Frederick Crocker, commander of the expedition, received the surrender of the town. Union control of Sabine Pass made later incursions into the interior possible. Description: The U.S. Navy began a blockade of Galveston Harbor in July 1861, but the town remained in Confederate hands for the next 14 months. At 6:00 am on October 4, 1862, Cdr. W.B. Renshaw, commanding the blockading ships in the Galveston Bay area, sent Harriet Lane into the harbor, flying a flag of truce. The intention was to inform the military authorities in Galveston that if the town did not surrender, the U.S. Navy ships would attack; a one-hour reply would be demanded. Col. Joseph J. Cook, Confederate military commander in the area, would not come out to the Union ship or send an officer to receive the communication, so Harriet Lane weighed anchor and returned to the fleet. Four Union steamers, with a mortar boat in tow, entered the harbor and moved to the same area where Harriet Lane had anchored. Observing this activity, Confederates at Fort Point fired one or more shots and the U.S. Navy ships answered. Eventually, the Union ships disabled the one Confederate gun at Fort Point and fired at other targets. Two Rebel guns from another location opened on the Union ships. The boat that Col. Cook had dispatched now approached the Union vessels and two Confederate officers boarded U.S.S. Westfield. Renshaw demanded an unconditional surrender of Galveston or he would begin shelling. Cook refused Renshaw’s terms, and conveyed to Renshaw that upon him rested the responsibility of destroying the town and killing women, children, and aliens. Renshaw threatened to resume the shelling and made preparations for towing the mortar boat into position. One of the Confederate officers then asked if he could be granted time to talk with Col. Cook again. This officer, a major, negotiated with Renshaw for a four-day truce to evacuate the women, children, and aliens from the city. Cook approved the truce but added a stipulation that if Renshaw would not move troops closer to Galveston, Cook would not permit his men to come below the city. The agreement was finalized but never written down, which later caused problems. The Confederates did evacuate, taking all of their weapons, ammunition, supplies, and whatever they could carry with them. Renshaw did not think that the agreement allowed for all this but, in the end, did nothing, due to the lack of a written document. The fall of Galveston meant that one more important Confederate port was closed to commerce. But the port of Galveston was not shut down for long. Description: Maj. Gen. John B. Magruder, who became the Confederate commander of military forces in Texas on November 29, 1862, gave the recapture of Galveston top priority. At 3:00 am on New Year’s Day, 1863, four Confederate gunboats appeared, coming down the bay toward Galveston. Soon afterward, the Rebels commenced a land attack. The Union forces in Galveston were three companies of the 42nd Massachusetts Volunteer Infantry Regiment under the command of Col. Isaac S. Burrell. The Confederates captured or killed all of them except for the regiment’s adjutant. They also took Harriet Lane, by boarding her, and two barks and a schooner. Cdr. W.B. Renshaw’s flagship, U.S.S. Westfield, ran aground when trying to help Harriet Lane and, at 10:00 am, she was blown up to prevent her capture by the Confederates. Galveston was in Confederate hands again although the Union blockade would limit commerce in and out of the harbor. Description: About 6:00 am on the morning of September 8, 1863, a Union flotilla of four gunboats and seven troop transports steamed into Sabine Pass and up the Sabine River with the intention of reducing Fort Griffin and landing troops to begin occupying Texas. As the gunboats approached Fort Griffin, they came under accurate fire from six cannons. The Confederate gunners at Fort Griffin had been sent there as a punishment. To break the day-to-day monotony, the gunners practiced firing artillery at range markers placed in the river. Their practice paid off. Fort Griffin’s small force of 44 men, under command of Lt. Richard W. Dowling, forced the Union flotilla to retire and captured the gunboat Clifton and about 200 prisoners. Further Union operations in the area ceased for about a month. The heroics at Fort Griffin 44 men stopping a Union expedition inspired other Confederate soldiers. Description: Since March 1865, a gentleman’s agreement precluded fighting between Union and Confederate forces on the Rio Grande. In spite of this agreement, Col. Theodore H. Barrett, commanding forces at Brazos Santiago, Texas, dispatched an expedition, composed of 250 men of the 62nd U.S. Colored Infantry Regiment and 50 men of the 2nd Texas Cavalry Regiment under the command of Lt. Col. David Branson, to the mainland, on May 11, 1865, to attack reported Rebel outposts and camps. Prohibited by foul weather from crossing to Point Isabel as instructed, the expedition crossed to Boca Chica much later. At 2:00 am, on May 12, the expeditionary force surrounded the Rebel outpost at White’s Ranch, but found no one there. Exhausted, having been up most of the night, Branson secreted his command in a thicket and among weeds on the banks of the Rio Grande and allowed his men to sleep. Around 8:30 am, people on the Mexican side of the river informed the Rebels of the Federals whereabouts. Branson promptly led his men off to attack a Confederate camp at Palmito Ranch. After much skirmishing along the way, the Federals attacked the camp and scattered the Confederates. Branson and his men remained at the site to feed themselves and their horses but, at 3:00 pm, a sizable Confederate force appeared, influencing the Federals to retire to White’s Ranch. He sent word of his predicament to Barrett, who reinforced Branson at daybreak, on the 13th, with 200 men of the 34th Indiana Volunteer Infantry. The augmented force, now commanded by Barrett, started out towards Palmito Ranch, skirmishing most of the way. At Palmito Ranch, they destroyed the rest of the supplies not torched the day before and continued on. A few miles forward, they became involved in a sharp firefight. After the fighting stopped, Barrett led his force back to a bluff at Tulosa on the river where the men could prepare dinner and camp for the night. At 4:00 pm, a large Confederate cavalry force, commanded by Col. John S. Rip Ford, approached, and the Federals formed a battle line. The Rebels hammered the Union line with artillery. To preclude an enemy flanking movement, Barrett ordered a retreat. The retreat was orderly and skirmishers held the Rebels at a respectable distance. Returning to Boca Chica at 8:00 pm, the men embarked at 4:00 am, on the 14th. This was the last battle in the Civil War. Native, African, and Hispanic Americans were all involved in the fighting. Many combatants reported that firing came from the Mexican shore and that some Imperial Mexican forces crossed the Rio Grande but did not take part in the battle. These reports are unproven.